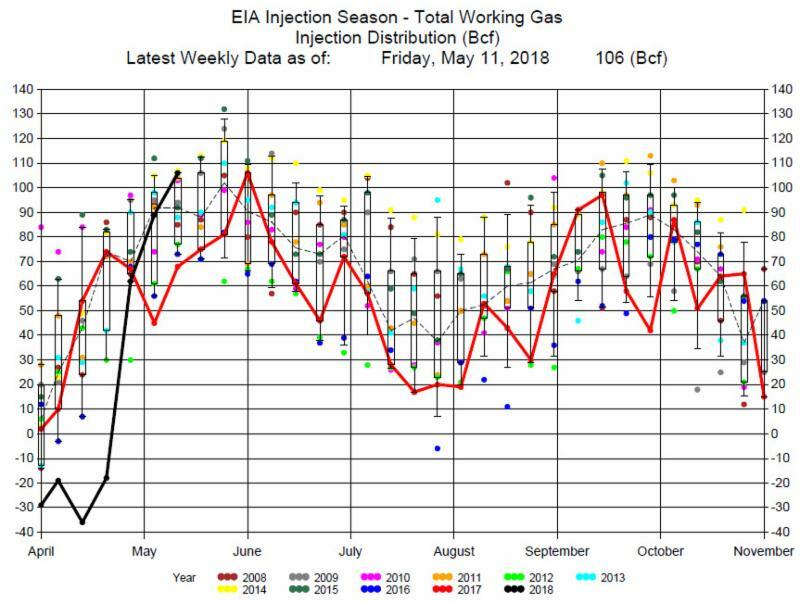 The EIA reported an 106 bcf Injection for the week ending May 11, 2018. 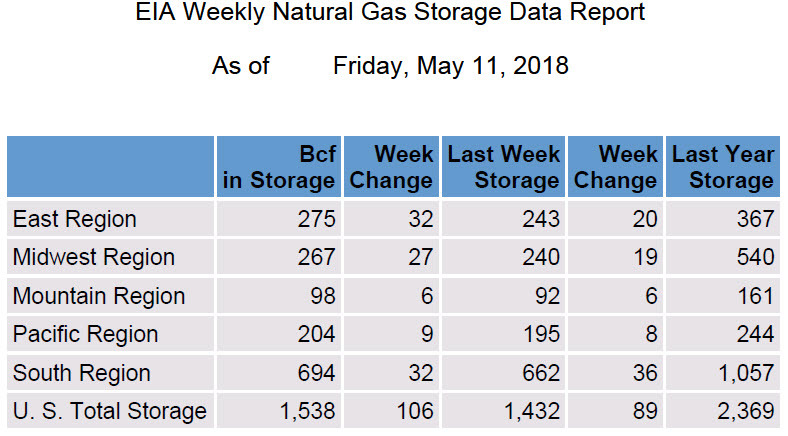 The 106 bcf injection was a record for this week of the year, average being about 92 bcf injection, and close to expectations of a 105 bcf injection, with a range of a 95 injection to a 124 bcf injection. 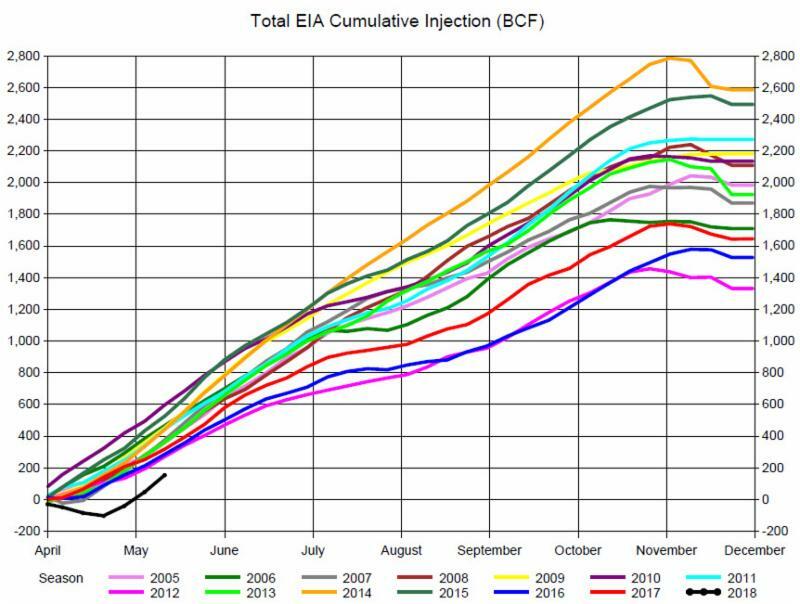 The computer weather model estimated an injection of 96 bcf suggesting supply demand during this past week. 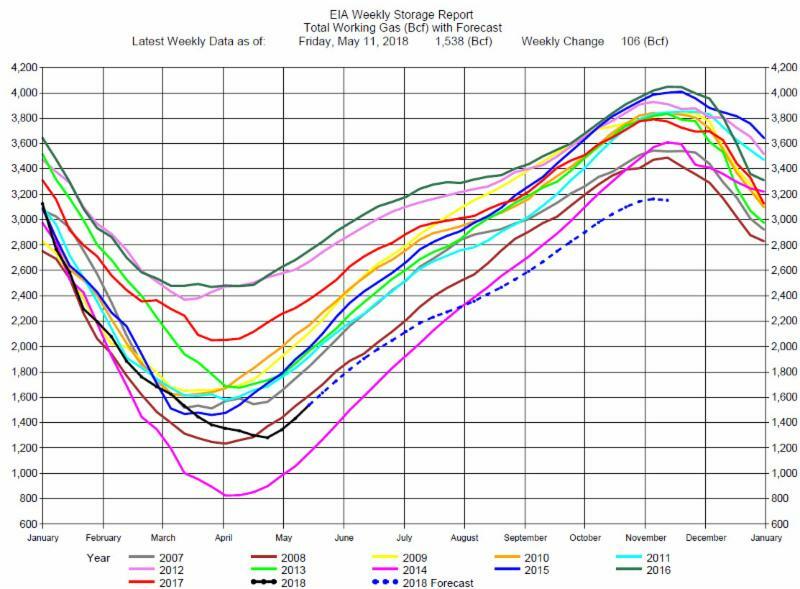 Prices rallied throughout the trading day and may have broken out of the range needs to decisively close above $2.87 to break out of the trading range.